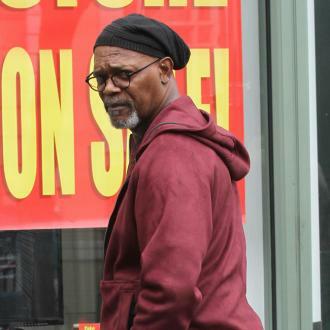 Quote: "There's loads of black actors but you can't vote for an actor because he's black. You can't just say 'I'll vote for him, he's not very good but he's black'. You've got to give a good performance." British actor Michael Caine weighs in on the Oscars diversity row which was sparked after no black stars were nominated in the main acting categories for the 2016 Academy Awards. Quote: "The best thing about it (not receiving a nomination) is you don't have to go. Especially the Oscars, 24 hours on an aeroplane and I've got to sit there clapping Leonardo DiCaprio. I love Leonardo... but I'm too old to travel that far and sit in an audience and clap someone else." Michael Caine is pleased not to receive awards nominations because he prefers to stay at home. Quote: "I've mentally retired, but I keep getting these scripts that I can't refuse. Now, I don't have a job. I don't have a script or anything and it would take something incredible to get me out of bed in the morning." 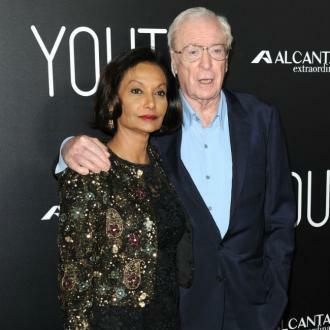 Veteran actor Michael Caine is finding it hard to step away from the spotlight. Quote: "He found out about me, because I was acting before him, and then he sort of became a fan. We met, and then we became friends. We always talked about doing a movie together, but all he ever did was the Fast & the Furious, and I was the slow and the curious. I'm not a very good driver, so I couldn't be in it. Finally I got this part where I could play this old head witch." Sir Michael Caine was thrilled to get the chance to act opposite pal Vin Diesel in new film The Last Witch Hunter. Quote: "I'm a control freak that's why I never get drunk. I've been drunk (in the past) but before I knew I was a control freak!" Veteran actor Sir Michael Caine's wild drinking days of the 1960s are well behind him. Quote: "The people who produced this... they're the people who are hands-on. I mean, Michael Caine acted as a grip for a week... He was always in an Hawaiian shirt and flip-flops." Director Richard Ayoade on having acting veteran Sir Michael Caine as the executive producer on his movie The Double. Tweet: "Thank You so very much! I am having a wonderful day in my garden." Veteran actor Sir Michael Caine is spending his 81st birthday on Friday (14Mar14) gardening. Quote: "It's amazing, isn't it? My wife, Shakira, put me on to it. Suddenly, I'm doing messages. It's quite amazing. You get one message from New York and one from Iceland, all in 10 seconds. I go on every so often if something happens or I'm doing something." Michael Caine, 80, is a big fan of Twitter.com. The actor has over 500,000 followers. Quote: "If I'm out for a walk down the high street I'll wear a baseball cap and will tend to move pretty quickly... That way by the time someone might think, 'Blimey, it's that Michael Caine!' I'm usually about 20 yards away and off in the opposite direction." Hollywood star Michael Caine explains how he manages to avoid local residents in his hometown of Surrey, England. Quote: "I am married to an Indian lady (wife Shakira) and have learned about Indian culture. I looked into what they got and didn't get. And one of the things they don't get is Alzheimer's (disease). They eat a great deal of turmeric in their food. I have been taking turmeric tablets for 30 years and I have a memory like a computer. I remember everything." Sir Michael Caine, 80, on his trick to keeping a sharp mind. Tweet: "My Thoughts and Prayers are with the family of the Connecticut School. Too young to die." British acting icon Sir Michael Caine sends his sympathies to the relatives of the victims killed in Friday's (14Dec12) tragic shooting. Adam Lanza reportedly opened fire and killed 20 kindergarten students and six members of staff at Sandy Hook Elementary School in Newtown before turning the gun on himself. Quote: "You can laugh more women into bed than you can seduce into it - just so long as they stop laughing when you're in bed." Sir Michael Caine offers dating tips to guys. Quote: "I was a soldier in Korea when I was 19... You don't know what you will be like in any situation. I wasn't a hero or anything stupid like that, but I proved to myself that I didn't run away. I was hit by a bit of shrapnel, but I was lucky that was the nearest I came to being hit." British actor Sir Michael Caine on his military service. Quote: "I got these grandchildren and all the movies I make, they'll never see me in a movie until they're 18 or 12, so I've done Gnomeo & Juliet and Cars 2." The Italian Job star SIR Michael Caine is choosing his latest film projects with his grandkids in mind. Quote: "Not only is he amazingly, stupidly talented, but he still kind of hits on me. All the time. If it was anybody else, I’d be like, 'Who the hell do you think you are?' But because it’s Michael Caine, I’m like, 'Sock it to me more, baby, come on!' I frickin’ love him." Vanessa Hudgens has a crush on her JOURNEY TO THE CENTER OF THE EARTH co-star MICHAEL CAINE. Quote: "There were these actors giving awards, all handsome, very small, very pale, and I had no clue who they were. My wife told me they're all the stars of the vampire movies. I thought, 'Bloody hell, it's a good thing I'm not starting out nowadays.' Not me. Tall, fair and ugly... I would have been the first victim." 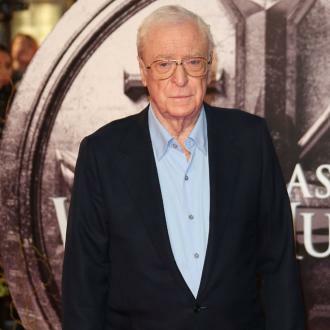 Michael Caine is glad he's not starting out as an actor today, among Hollywood's 'vampires'. Quote: "I grow chillies. I have a greenhouse full of them." SIR Michael Caine has an unusual hobby. Quote: "He's an entirely different generation from me... his age was 85, so I suppose you could say that's pretty good innings, but, when you're 77 that doesn't sound very much." SIR Michael Caine is highly aware of his own mortality after learning of the death of screen veteran Tony Curtis. Fact: Michael Caine is to journey to the centre of the earth as the star of the sequel to Brendan Fraser's 2008 3D film. Dwayne Johnson will replace Fraser in Journey 2: The Mysterious Island and Caine will play a grandfather role. Shooting begins next month (Oct10) in Hawaii. Quote: "I would love to do a bigger picture with Leonardo. I have a small part in INCEPTION and got to work with him for only one day. I play his father-in-law, I'll probably wind up as his grandfather next." SIR Michael Caine is itching for a meaty role alongside Leonardo Dicaprio. Fact: SIR Michael Caine is to look back over his life again for a second memoir. The Elephant to Hollywood will follow the actor's 1991 autobiography What's It All About? Quote: "I'm writing my autobiography, and there are several (films) that I've had to look up because they were so bloody awful. I type 'Michael Caine films' into Google." Acting legend SIR MICHAEL CAINE has banished bad movie roles from his memory. Quote: "She'll be a fabulous mum. She's a wonderful girl. I love Sandy." Michael Caine is thrilled by news his Miss Congeniality co-star Sandra Bullock has adopted a baby son. Quote: "Two years ago I didn't have any grandchildren. I was 75 then and I thought, 'I'm never going to have any.' I'm 77 now and my daughter had one, and now she has twins, so now I have three." 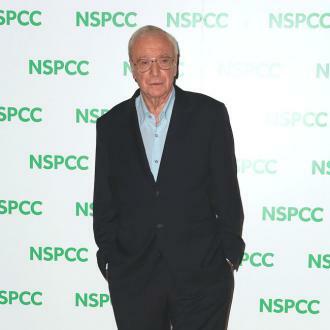 Acting legend SIR Michael Caine is a proud granddad of three. Quote: "I'm a Google fiend. I've had an insatiable curiosity all my life, so Google is the best thing to happen to me. I know everything now. I typed 'Michael Caine films' into Google and there were several I looked up that were so bl**dy awful. The worst was probably The Swarm." SIR MICHAEL CAINE loves the internet. Quote: "What I'd love now is for another Dirty Rotten Scoundrels to turn up. I've done a lot of dark films recently!" SIR Michael Caine is on the hunt for a lighthearted script. Quote: "I have a theory. You don't retire. Movies retire you. I don't have a major script now. It will come, or it won't. If it doesn't, I will be retired. There won't be any fanfares or announcements. I'll just be gone." SIR Michael Caine will leave his Hollywood career behind quietly. Quote: "She was trying to figure out stardom and one day she said to me: 'How much do you get for a film?' I said: 'A million pounds, Mum.' Well, she thought for a minute, and then she said, 'How much is that then?'" SIR Michael Caine's mother was clueless about her son's career. Quote: "If I don't find a good script ever again, I'll be retired. There won't be any fanfare or statement to the press. I'll just be like an old soldier - which I am - and fade away. I have no anxiety about it." Michael Caine has no qualms about ending his acting career. Quote: "I haven't seen him since, but when I meet him I'm going to say, 'What the f**k were you doing?'" Michael Caine plans to reprimand his The Dark Knight co-star Christian Bale for his angry outburst on the set of TERMINATOR SALVATION. Quote: "I've kissed plenty of handsome fellas in my work, too. Michael Caine for one." Anne-Marie Duff insists she isn't jealous her actor husband James McAvoy has shared love scenes with Angelina Jolie. Quote: "I'd dearly love to think there was life after death. And I think that I have all bases covered. My dad was a Catholic, Mum was a Protestant, I was educated by Jews and I married a Muslim." Ageing actor SIR Michael Caine likes to think he's prepared for the afterlife. Quote: "When I used to go round to see one of my old friends who lived in a mews flat in South Kensington, there was this mad artist next door who wanted to paint him and me. But he was very gay and I didn't want to go because I was too scared. He was called FRANCIS BACON." Veteran actor SIR Michael Caine was acquainted with the legendary artist. Fact: SIR Michael Caine worked in a butter factory before his acting career took off. Quote: "I've done several films I've regretted, but you don't realise at the time. You think, 'Well, I'm good' and then you suddenly realise that no one else is." SIR Michael Caine on his career disappointments. Quote: "I'm like any actor. I think this particular role doesn't apply to me personally. I plan to live to at least 100, which means another 25 years to go." British actor SIR Michael Caine, 76, insists he has many more years to live after playing a man struggling with dementia in new film IS ANYBODY THERE?. Quote: "I love being a knight, but it doesn't really get you a thing except honour or respect, and you actually get all that when you make movies. Being a movie actor is like being knighted." SIR Michael Caine compares his special privileges as a knight and award-winning movie actor. Quote: "MICHAEL is a great authority on almost everything. To walk with him through country lanes is amazing as he'll tell you the name of every plant and shrub." One of SIR Roger Moore's fondest memories is of visiting SIR Michael Caine at his home in the English countryside. Quote: "My mother hoped I'd look like Michael Caine's wife, Shakira. My parents had no idea it really meant something in other languages. In Arabia, it means 'one who gives thanks to God.' In Pakistan, my name means 'to get drunk.'" Colombian singer SHAKIRA on the many meanings of her name. Quote: "I've got three BAFTAS, three Golden Globes, two Oscars. It's so crowded I worry the shelf will fall over and hit me on the head." SIR Michael Caine needs a bigger case for all his awards. Quote: "I haven't needed to pay the rent for some time. Now I have this incredible luxury of doing exactly what I want. I don't want to get up at six and learn 10 pages of dialogue and go and work with a load of people I don't like in something I didn't want to do. So it's got to be quite something to get me out of bed." Veteran actor SIR Michael Caine loves having the freedom to pick and choose his roles. Fact: Veteran actor Michael Caine has confirmed he will co-host this year's (08) Nobel Peace Concert alongside Scarlett Johansson. The event is due to take place on 11 December in Oslo, Norway. Quote: "In Miami they have the greatest experts in geriatric illness in the world. So you can't die there. They keep you alive just to make money." Michael Caine on why he owns a condo in Miami, Florida. Quote: "Someone once asked me if my mother called me MAURICE or MICHAEL. I said, 'Michael... because Maurice never made any money.'" Even SIR Michael Caine's family refuse to refer to the movie star by his birth name, MAURICE MICKLEWHITE. Quote: "They leave me alone now. I'm too bleeding old. They're frightened I'll drop dead." Veteran actor Michael Caine, 74, is no longer pursued by the paparazzi. Quote: "I love to walk four or five miles a day but when I walk in the streets, I want to disappear. So I wear all black, with sunglasses and a baseball hat. If you walk fast, no one will stop you." SIR Michael Caine disguises himself while out walking in London. Quote: "I don't know whether his generation had to put up with the peculiar magazines we have now... Perhaps he's not quite seen the same side of it as I have. When he does it's, 'Oh look, there's the paparazzi, hello mate...' I tend to be 'Oi, f**k off!'" Jude Law compares his and SIR Michael Caine's attitudes to the paparazzi. Quote: "They leave me alone now. I'm too bleedin' old. They're frightened I'll drop dead." Veteran actor Sir Michael Caine reveals his secret to avoiding the paparazzi. Quote: "If you think about it, in all his best film roles, he has a putty nose or a wig or moustache. He used to say, 'I can't bloody act with my own face.'" Michael Caine offers clues to the genius of late acting legend and SLEUTH co-star Laurence Olivier. Fact: Michael Caine once shared a flat with his barber, Vidal Sassoon. Quote: "He is extraordinary and you're gonna get the shock of your life when he comes on screen. It'll scare the daylights out of you." SIR Michael Caine has great expectations of Heath Ledger as THE JOKER in Batman BEGINS sequel THE DARK KNIGHT. Quote: "Someone with a funny hat who shouts into a microphone while wobbling gramophone records backwards and forwards." Actor SIR Michael Caine's definition of a DJ now he has entered the music scene as a compilation artist. Quote: "Roger Moore said on television the other day, 'Michael Caine changed his name and kept his accent. I changed my accent and kept my name. He's working all the time and I can't get a bloody job!' But he doesn't need one, he's got more money than I have." SIR MICHAEL CAINE plays down his success. Fact: Colombian pop superstar Shakira was named after SIR Michael Caine's wife. The singer's father is a longtime friend of the British actor. Quote: "It took three birthday parties for us to admit we were turning 73." Quincy Jones and SIR Michael Caine - who were born almost simultaneously - struggle to deal with their increasing age.